Stay tuned for upcoming events for SRK Musician of the Year in near future. 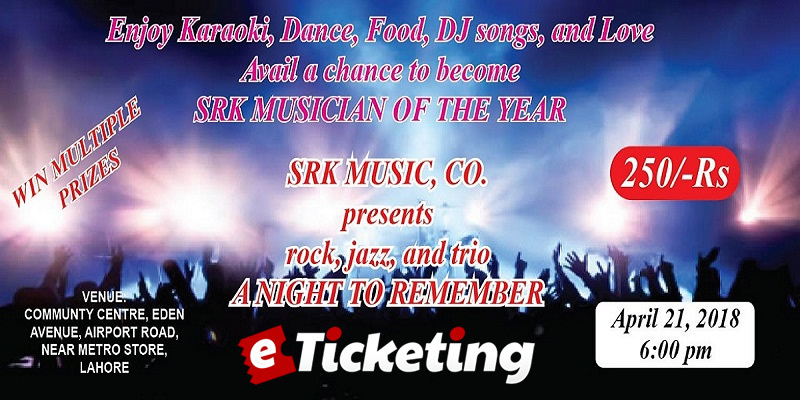 A new music company, SRK music, is organizing a musical evening and they will select one singer or band for a year contract among the audiences. So if u are a music lover must join, and enjoy the show with other number of games and opportunity to win different prizes and if music is your passion and u want to become famous in the field then join to get life time opportunity...... Free promotion of you or your band and live concerts for a year. Great opportunity to start your music career. Best Viewed at 1024 x 768 pixels and above. This Page loaded in 0.04918 seconds on Tue, Apr 23, 2019 (21:02).